PeptoPro Hydrolyzed Casein by Quamtrax is an advanced peptide formula obtained from hydrolyzed milk casein. In spite of being especially known for its slow digestion rate, hydrolyzed casein is absorbed very fast. Its structure has been modified through a hydrolysis process and its amino acids make up di and tri-peptide links, that is, from 3 to 2 amino acids. This makes it easier to break them down during the digestions. Thanks to this feature, PeptoPro Hydrolyzed Casein is one of the best supplements to improve the post-workout recovery. PeptoPro® Hydrolyzed Casein by Quamtrax, has a hydrolyzation degree 3 times higher than any other protein in the market. PeptoPro hydrolyzed casein 24.56g, acid (citric acid), sweetener (sucralose), flavorings. Mix 1 scoop (13g) of product with water or skimmed milk. 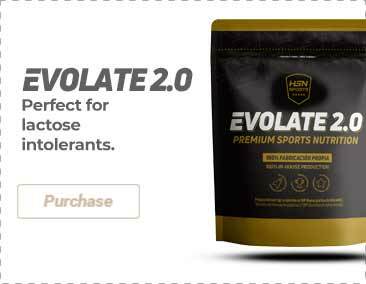 Take two servings daily, one in the morning on an empty stomach and another after training.